Columbia Square neighborhood is located in the heart of the University Town Center. Columbia Square gets it's name from having home occupying an entire square block between Culver Drive and California Ave and from Campus Drive to Harvard Ave. 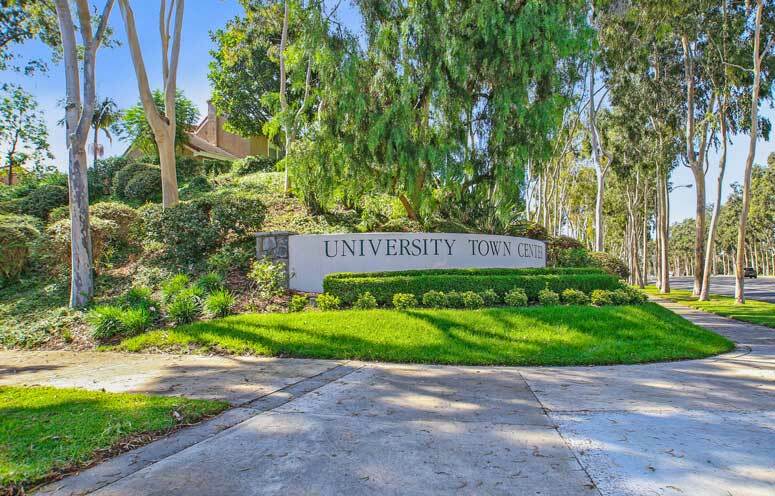 Inside this square block are residential condos that have a central park and community pool area and is directly across the street from the University of California Irvine college campus. The following list is what is currently on the market in Columbia Square. The Columbia Square community offers residents with two community pools, spa, tennis courts, basketball and volleyball courts. There are plenty of open spaces that are ideal for picnic's and outdoor gathering. The Mason Regional Park is also just minutes away and provides acres of open land for everyone to enjoy. Homeowners association dues average $278.00 a month with no Mello Roos.